Lucy Beck-Moreau once had a promising future as a concert pianist. Now, at sixteen, it's over. A death, and a betrayal, led her to walk away. 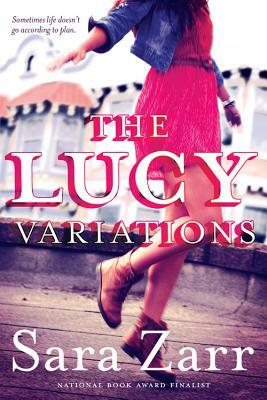 But without music in her life, Lucy's not sure who she is, or who she wants to be. Then she meets Will, her brother's new piano teacher, who is young, kind, and interested in helping Lucy find her way back to piano-not for an audience, but on her own terms. National Book Award finalist Sara Zarr takes readers inside one girl's struggle to reclaim her love of music, life, and herself in this stunning novel about finding joy in unexpected places. Sara Zarr was raised in San Francisco, California, and now lives with her husband in Salt Lake City, Utah. She is the author of How to Save a Life, What We Lost, Sweethearts, and the National Book Award finalist Story of a Girl.